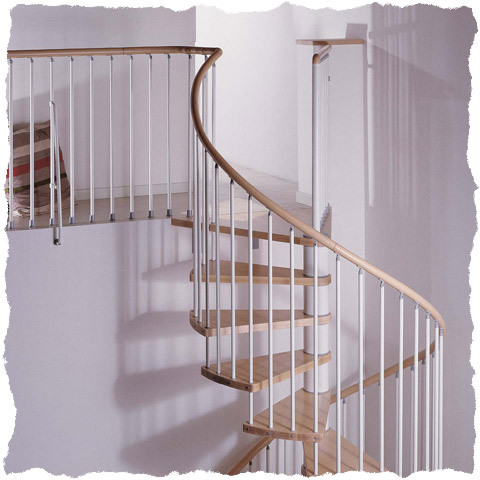 The Klan Spiral staircase is available in 1200mm 1400mm and 1600mm diameters aswell as being available in a selection of colours. 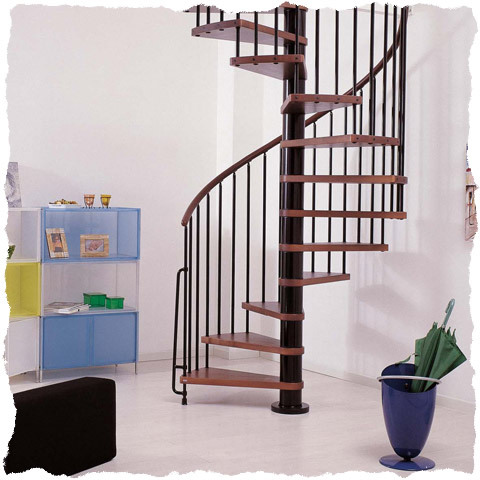 The Klan spiral staircase above is shown with the Black and Dark wood combination. 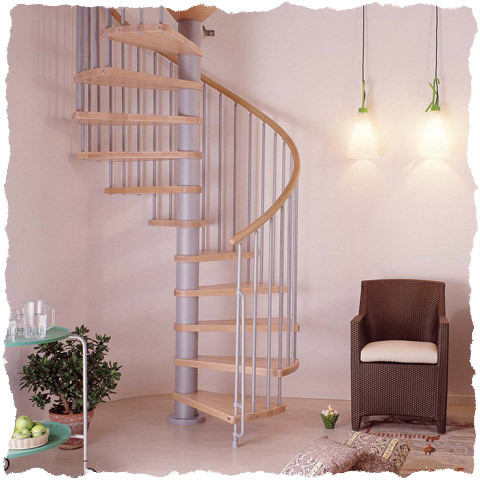 This Klan spiral staircase above is in the Grey with the light natural coloured timber treads. 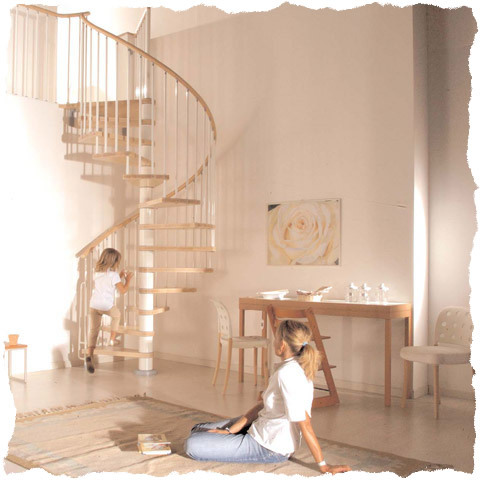 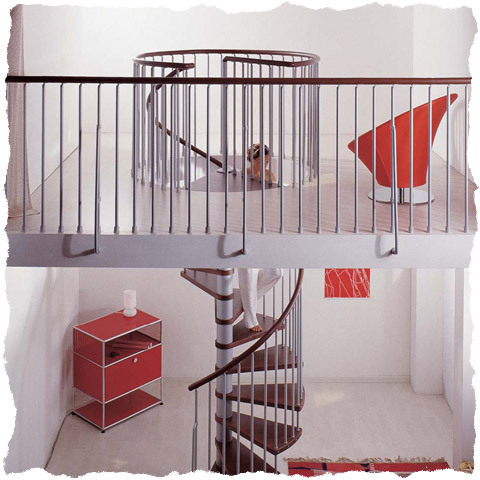 The Klan spiral staircase is a superior choice when looking at the staircases available from Italian manufacturers.